Jamis Bicycles and Silber Pro Cycling are pleased to announce that Jamis will be the exclusive frameset supplier to the Silber Pro Cycling Team for the next two years. The Canadian registered UCI Continental team will take first delivery of their new bikes in late January before formally assembling for their 2017 team camp in Tucson, Arizona, in March. "We are thrilled to be with Jamis," said Silber team director, Gord Fraser. "Their bikes are world-class and they have such a rich history in the sport of cycling. We know we will be on the very best equipment and with a company that truly 'gets it'. They are a genuine group of people who are fully vested in our team's success. We could not be happier." Silber Pro Cycling owner and GM Scott McFarlane went on to say, "The culture at Jamis encourages people to get on a bike and make an impact - not just on a ride, but on your daily life. This attitude meshes well with Silber's goals. We want our riders to have an impact on every event, but also to enjoy the adventure that comes with racing across the continent. This year our guys get to pursue their daily and long term goals on Jamis' award-winning framesets that have a long history of delivering wins. So this is a win-win partnership that promises a lot of fun." 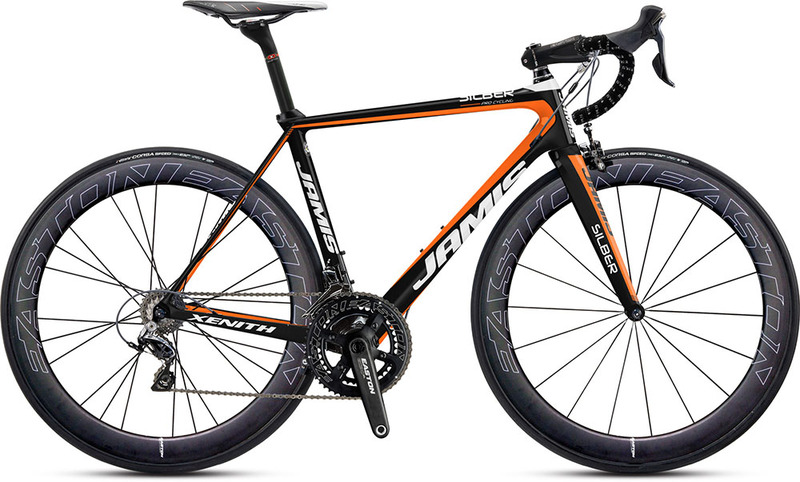 "This is exciting," commented Doug Martin, Sports Marketing Director for Jamis Bicycles. "Scott and Gord have done a fantastic job in such a short period of time with this team. Silber turned heads all year and every Sunday raced like they were shot out of a cannon - we love their approach and panache. Everything about this team is a great fit with our brand and company. We look forward to tremendous success together."